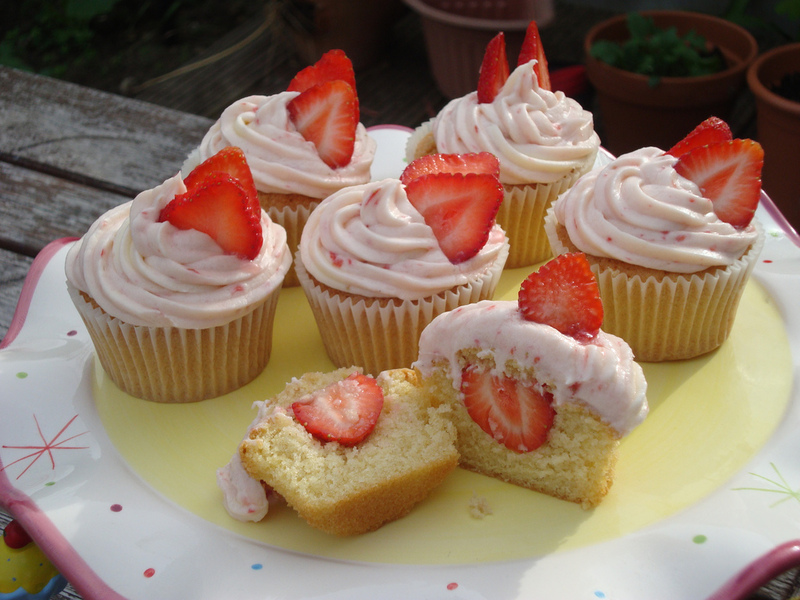 Last month I decided to enter English Mum’s Big Bakeoff with my Summer strawberry cupcakes. I watched, with my mouth watering, as the entries poured in. There were some truly wonderful looking cakes and cupcakes, and some brilliant children’s entries. 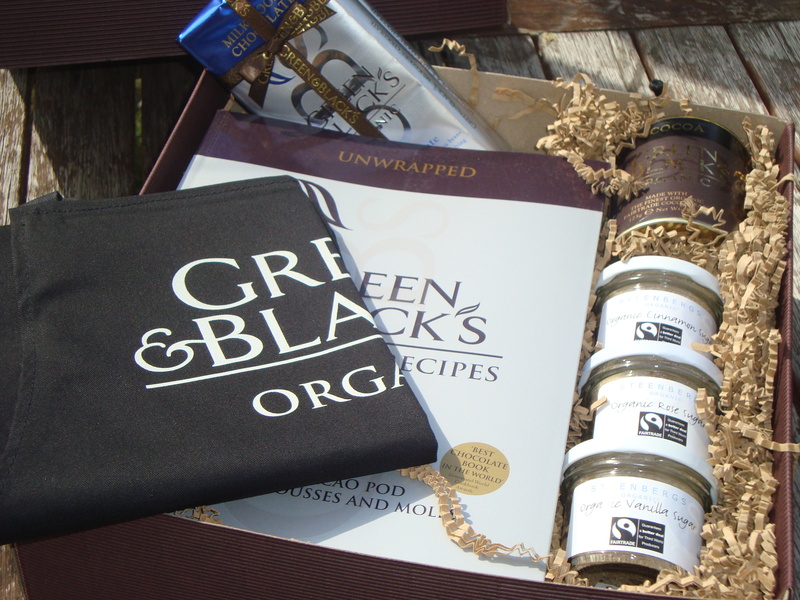 Not only that, but a few days later this fabulous Green & Blacks hamper arrived for me – what a lucky girl I am! I had an apron, 3 different flavoured sugars, cocoa powder, 3 bars of cooking chocolate and the most wonderful cookbook. It is packed full with both savory and sweet chocolate recipes and lots of interesting facts too. I think it is a must for any chocolate lover who likes to cook. 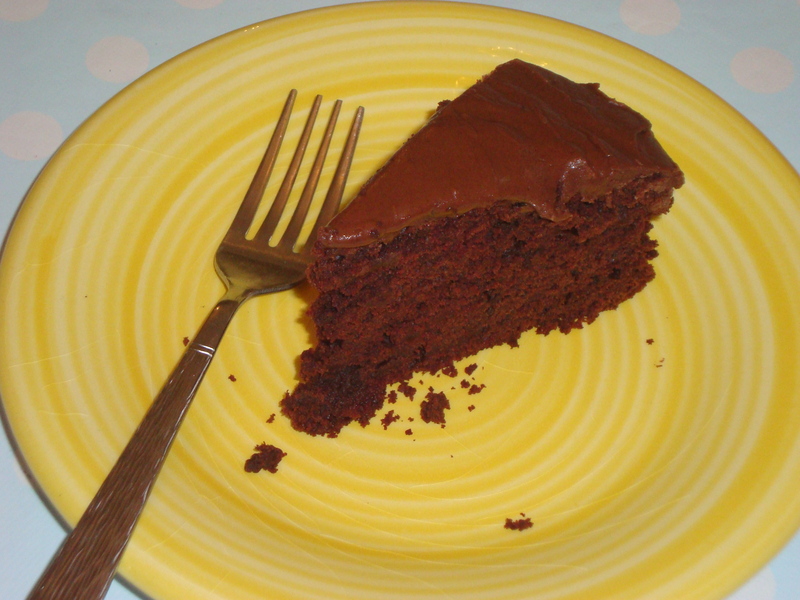 I had such trouble choosing what to make first but after my Dad gave me 3 large beetroot from his allotment, it had to be the chocolate beetroot cake. It was scrummy and the children thought it was fascinating to have beetroot in a cake! 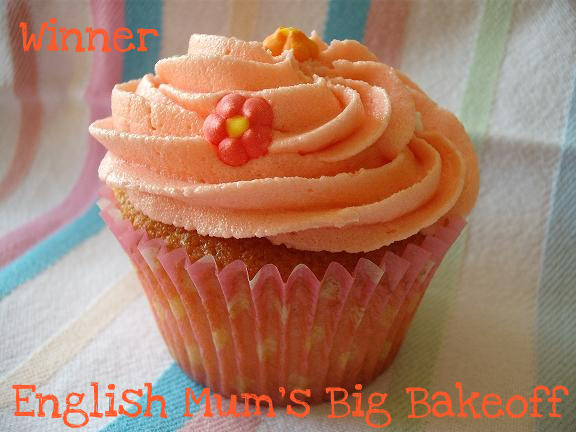 Thanks again to English Mum for hosting the Big Bakeoff and to Heather at Eggs, cream and honey for judging, and well done to everyone who entered, they all looked (and I’m sure tasted) absolutely delicious. Keep up the good work – I love trying out recipes from other blogs. I rushed here from twitter to see what typo was, disappointed. But love the blog!